I recommend you to visit the site devoted poker games and rooms online. Sri rama navami is the celebrated by Hindus as the birthday of lord Sri Rama. He was born to King Dasaratha and Kousalya devi in Ayodhya. Lord Rama is the 7th avatar (incarnation) of lord Vishnu. Navami means 9th day. Sri rama navami is celebrated on the 9th day of chaitra masa (“chaitra” month in lunar calendar). Sri ramanavami is celebrated with poojas and bhajans. Special dish like panagam (panaka) along with other festive foods like ambode and payasa are offered to the lord. Here is the audio clipping of our son (2 years and 5 months old) reciting shlokas on sri rama. Panagam is a sweet drink prepared with jaggery and ginger powder (or pepper). In India, summer would have already started by chaitra masa (April), panagam, the refreshing healthy drink would be served for all festivals that fall around the time. Panagam is must for Ugadi, Chaitra Gowri pooja and Sri rama navami. 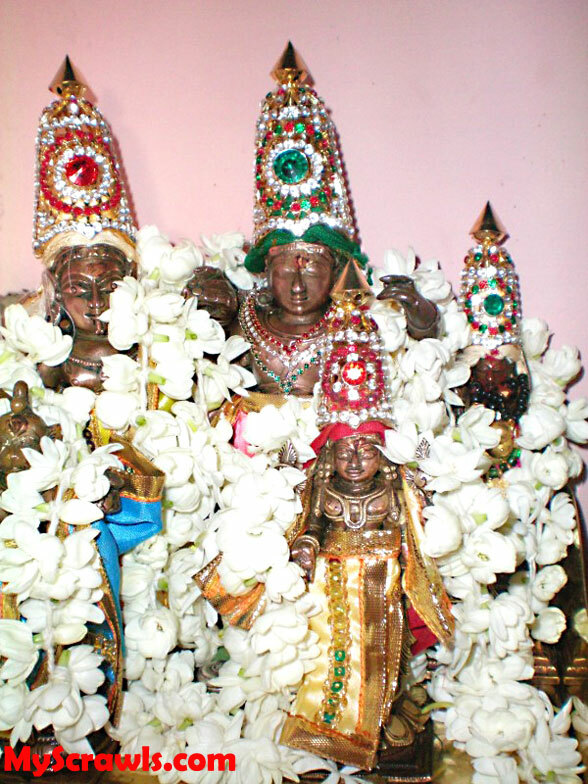 We have the vigrahas (Idol) of lord sri nama, lakshmana, sita devi and sri srinivasa. These idols have been passed from generation to generation. Men in my father’s ancestry have been performing pooja to these idols. Every year sri ramanavami is celebrated in a grand manner at my parents place. Panchamruta abisheka would be performed to the lord while we sing rama bhajans, vishnu sahasra nama and sri rama katha. Many devotees come to our place from far and near. My parents host festive lunch to all the devotees. On this auspicious day, I pray the almighty to shower his blessings on us and give us happiness in our lives. Jai Sri Ram! just saw ur recipe for eggless cookies ! wonderful. will defi try. 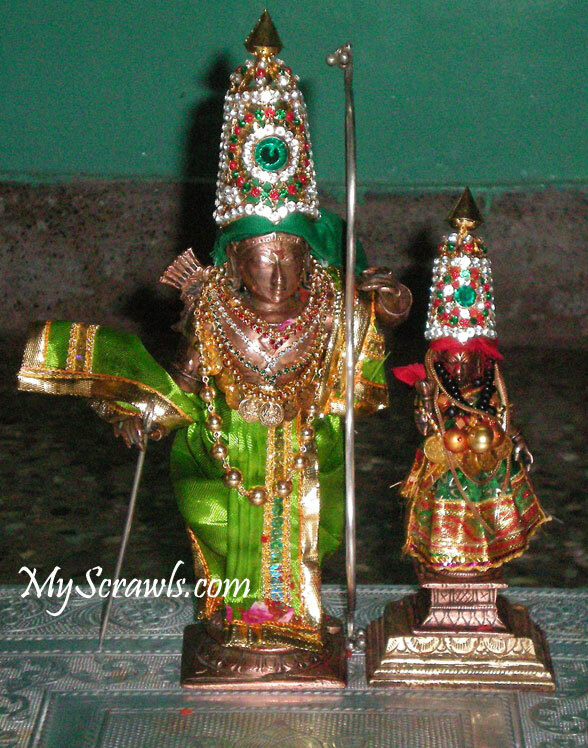 also was browsing thru ur older posts and saw the RamNavami one…. with the audio of ur son s shloka. wow. gr8 . must congratulate u and ur hubby ofcourse for the wonderful upbringing. that too residing in a foreign land !! phaar santosh jhala wo. ! best wishes. pls continue the good work ! !